Are you thinking about getting your office cleaned by a professional cleaning company, but don’t know what to look for? Well, stop stressing right now. When it comes to finding commercial cleaning in Hallam, Melbourne or even Doncaster, you need to look for a few key things – which we have for you below! 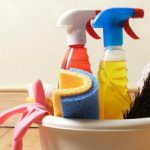 When it comes to hiring an office cleaning, you want to know that the commercial office cleaning services that you are looking to get done can be completed. This is where experience and knowledge about cleaning comes to the fore. You have to make sure that you are prepared to question the cleaning company about their experience and knowledge in the field. The more they have, the better it is for you. In today’s age, being eco-friendly is essential. You want to be able to help the environment, while at the same time being able to make your workplace safe for your employees. This means that you have to make sure that the office cleaning company you are hiring is committed to using eco-friendly products, so they are helping the environment and ensuring that they are dedicated to making your office safe for your employees. Speak to them beforehand so they are able to ensure they will use these products. How would you feel if you came to the office and found that the windows aren’t cleaned properly? Or that the floors are dirty? Didn’t you pay for a clean office? What you want from an office cleaner is an effective and efficient service: one where you get what you want cleaned in your office and that is it. There is nothing more frustrating than finding that you have spent money (more on that below) on something that didn’t come your way. You should expect an efficient and effective service from your office cleaner. You want to make sure that you are getting your money’s worth when it comes to your office cleaning. There is nothing more annoying than spending all your money on a company to clean your office, only to find them not doing the job properly. You want value for money, so as the cleaning goes on, you have to determine if it is up to your standards. It is going to have a massive impact on your healthy and clean your office is, as well as your bottom line.